‘This is the first workshop event that promotes green culture as a social responsibility. It is not a one -time art event .It’s an on-going voyage to put in our efforts into making earth a better place for our future generations to come. Join us on the 25th &26th August to sculpt your clay Ganesha and do an immersion or visarjan at your home, only to reuse that clay to make another art object out of the clay. 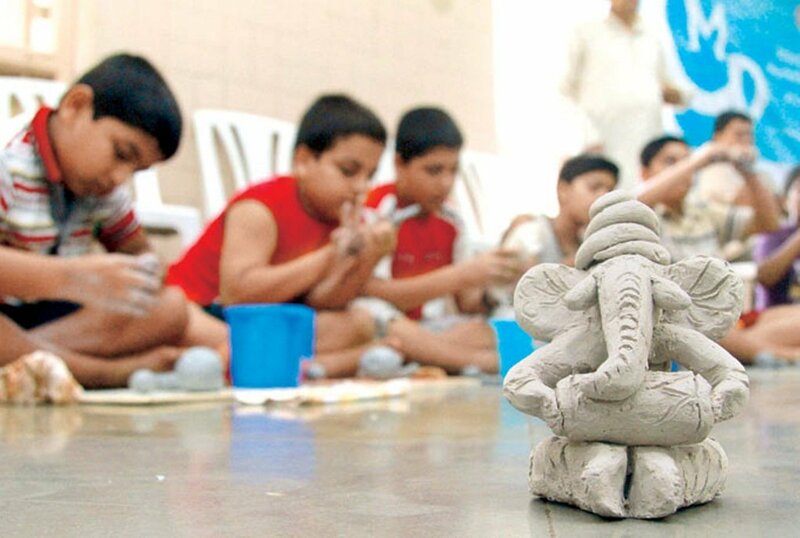 Visiting Phoenix Marketcity on these days could activate your art nerve, as you will carry your own Ganesh idol absolutely free by enrolling into weekend clay sculpting lessons given by award winning artist master Shafique. We all are aware that by the next 10 years, Earth will become 4 degrees hotter than its now; we invite you to begin your journey to a sustainable and eco- friendly world.